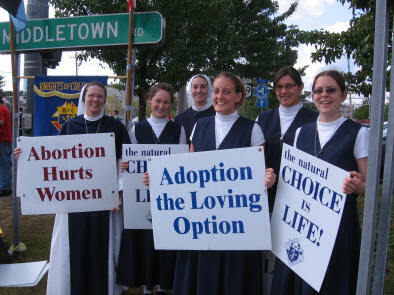 The Sisters of Life is a contemplative/active religious community of women founded in 1991 by John Cardinal O’Connor for the protection and enhancement of the sacredness of every human life. Conforming their lives to Christ, the Sisters take vows of poverty, chastity and obedience and a fourth vow to protect and enhance the sacredness of human life. To learn more, visit the Sisters’ website. Volunteer Days at the Sisters of Life new motherhouse in Rockland.